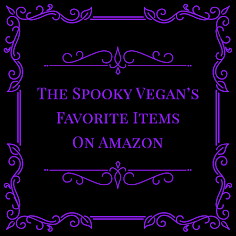 It's almost Valentine's Day again, and though I'm not the biggest fan of the holiday, I couldn't resist putting together a gift guide full of goodies for your Valentine, which kinda doubles as my own personal wishlist as many of the items are gothy and dark, along with being cruelty-free and vegan! These are the kinds of things I would loooooove to receive for Valentine's Day (or any ol' day)! Even though I don't believe you need to give gifts of monetary value to express your love, the items below are quite handy as tokens of affection! 1.) 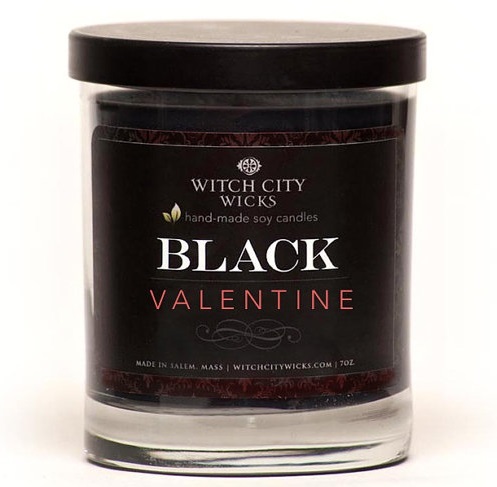 Black Valentine candle by Witch City Wicks - An addictive mixture of blood and roses: sweet, juicy blood orange blended with the rich floral bouquet of red roses. Witch City Wicks makes awesome-smelling soy-based candles, and this scent sounds decadently romantic! 2.) "Listen to Your Heart" tee by Herbivore Clothing - So your Valentine can wear their heart on their sleeve in this comfy, flowy shirt. Thank goodness it comes in dark grey! 3.) 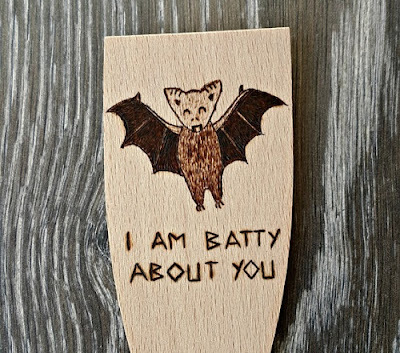 I Am Batty About You wooden spatula - How cute is this kitchen implement, found on Etsty?! 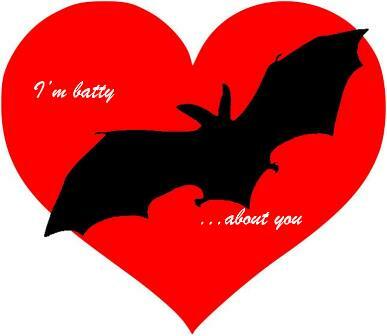 It's absolutely perfect for your spooky Valentine! 4.) "Donut Ever Let Me Go" card by District Vegan - There are lots of other adorable items by District Vegan you could get your honey, but this card was just too sweet to pass up! 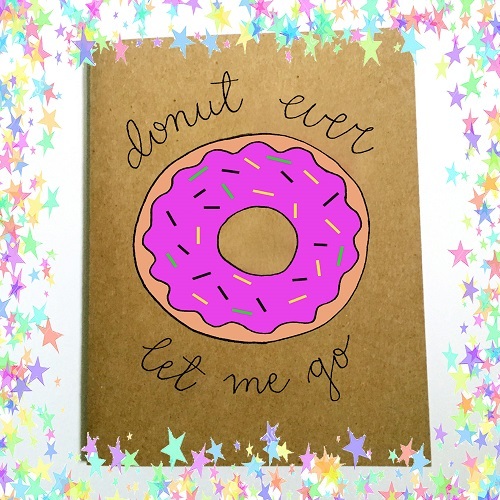 Pair this with a box of vegan donuts and they'll be yours forever! 5.) 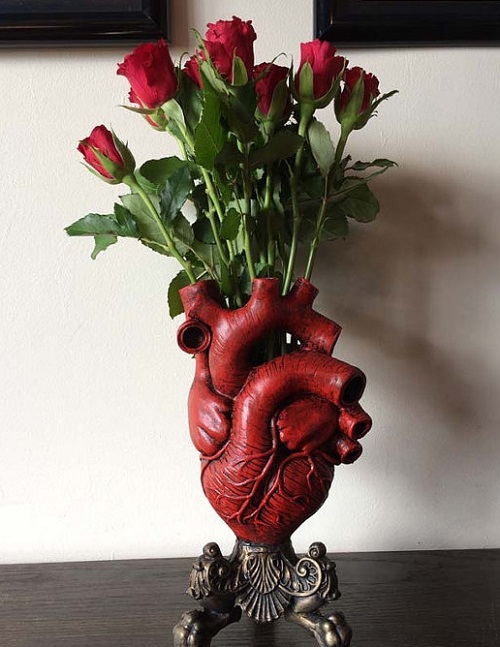 Anatomical Heart Vase - I adore this gore-geous sculpture of an anatomical human heart, cast in resin and hand painted! 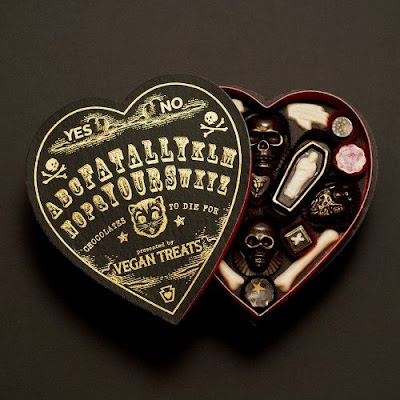 It has a very gothic Victorian feel to it, and allows you to give them your heart AND flowers all-in-one this VDay. 6.) 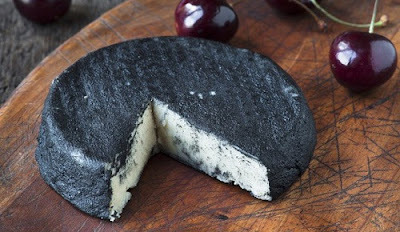 Miyoko's Vegan Cheese - Screw the chocolate, show them you really care by splurging on Miyoko's vegan cheese! My favorite is the black ash, shown above, but all the flavors are delicious and decadent. These can be purchase online or in select health food stores (like Mother's Markets here in Orange County). 7.) Love and Kisses gift set by LUSH - This set from LUSH features all vegan bath products your sweetie will love! Everything will be coming up roses after bathing with their bubble bar, soap, and shower gel and using their lip scrub and tint! 8.) 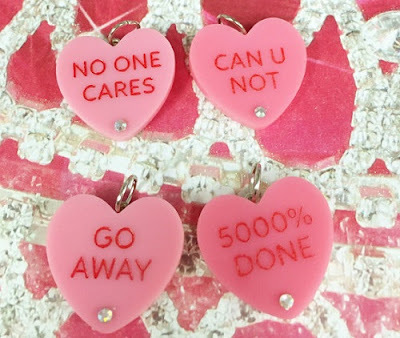 Pastel Goth Valentine Conversation Heart Pendants - For someone who is not really into the whole sappy VDay thing (ME), these necklace charms will let the world know how they REALLY feel. 9.) 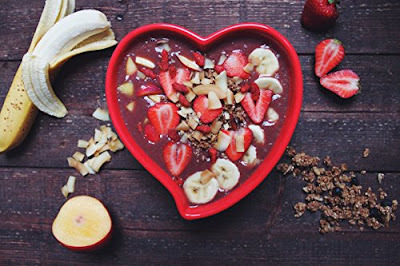 Heart Shaped Bowl - So they can eat their hearts out! And although I usually turn my nose up at heart-shaped anything (unless it's snarky or anatomically correct), I actually like these cute little bowls, which are microwave and dishwasher safe to boot! 10.) 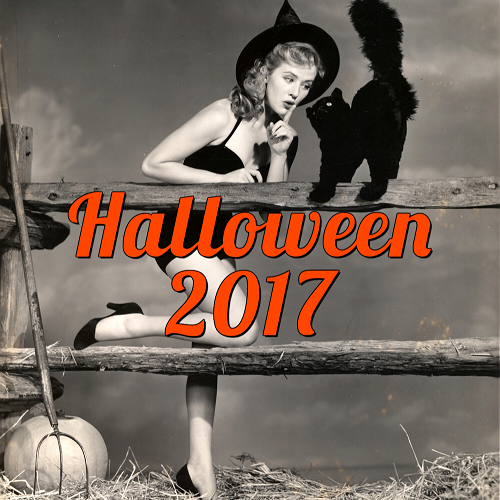 Custom-made lingerie sets, like the Black Cat Halloween set shown above from Purrfect Pineapples! Purrfect Pineapples is an awesome vegan- and women-owned independent company that makes absolutely ravishing, handmade lingerie! 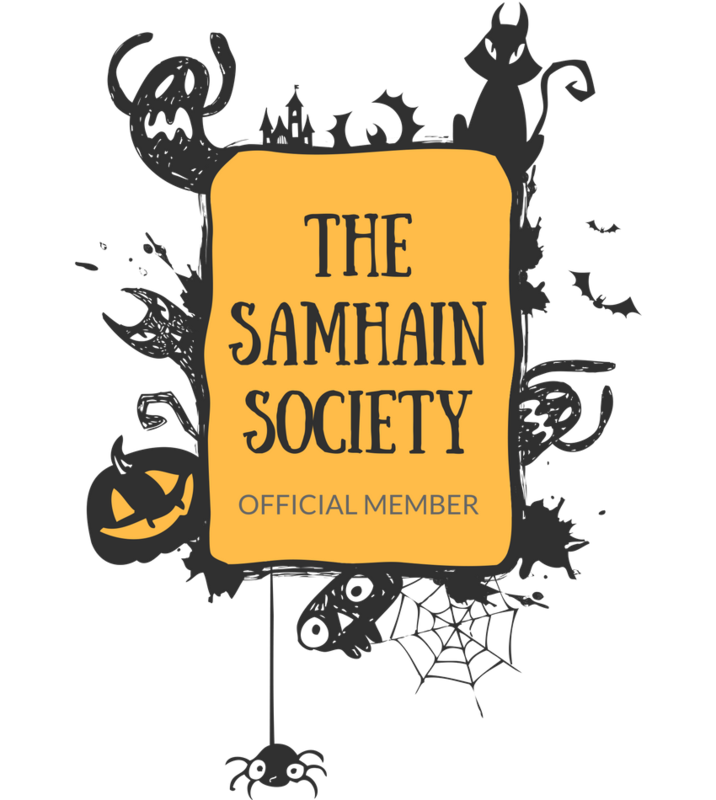 Most of their new designs are announced via their Instagram, so give them a follow! 12.) 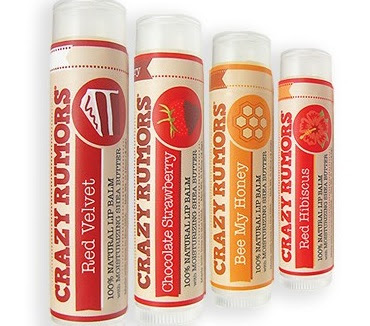 Crazy Rumors Sweetheart lip balm set - Crazy Rumors makes yummy cruelty-free and vegan lip balms, and I always have a tube of theirs handy! The limited edition Sweetheart set contains four flavors (Red Velvet, Bee My Honey [doesn't contain real honey], Chocolate Strawberry, Red Hibiscus) and is perfect for Valentine's Day...especially if you want to encourage your love to pucker up! 13.) Cook them a vegan meal - If you want to eschew the commercialism of the holiday, consider cooking your baby a delicious vegan meal (or getting take-out from your favorite veg restaurant) and spending a romantic night at home (I for one do not want to go out to a fancy restaurant on the busiest restaurant night of the year). You know they say the way to a vegan's heart is through their stomach! Check out Valentine's Day menu inspiration from Oh She Glows or Serious Eats, or make a pizza (like the ones I made last year, one of which was my Heartbreaker pizza shown above!). If cooking a whole meal is a bit overwhelming, serve breakfast in bed (I'm drooling over these strawberry shortcake pancakes) or bake a dessert (these chocolate lava cakes from Minimalist Baker will make them swoon). 14.) It's a bit late too order the Fatally Yours chocolate box from Vegan Treats (it's to die for - my review here! 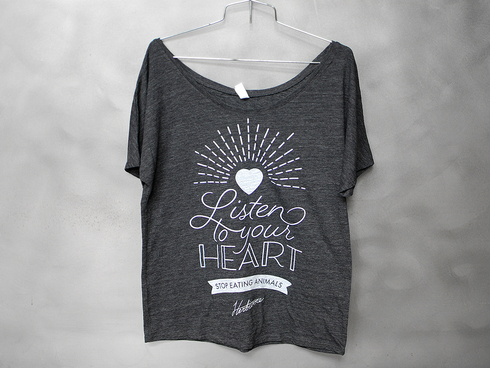 ), but if you can get your hands on one your Valentine will surely love you eternally! 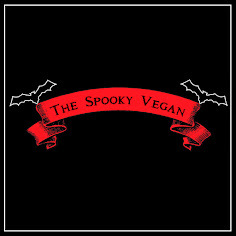 However, there are plenty of other vegan chocolates you can pick up at your local health food store or Whole Foods, including Endangered Species chocolate, Theo chocolate, Sjaak's Chocolate, Premium Chocolatiers, and more! Just check labels before buying as not all of these are 100% vegan companies. Whether you're spending the day with your awesome self, that special someone, or your BFF, I hope these gift ideas give you some inspiration this Valentine's Day!